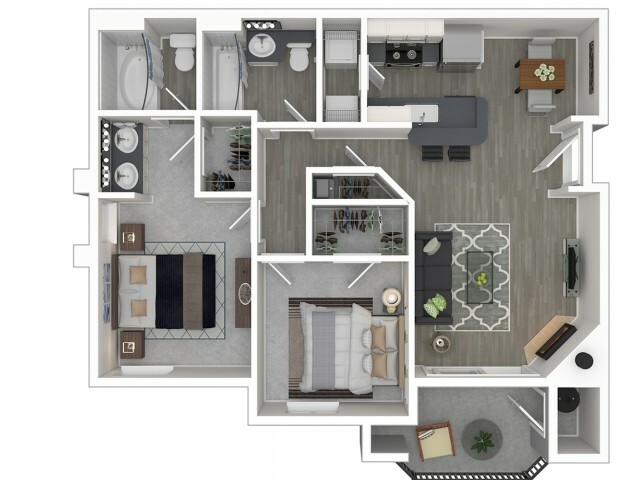 Broadleaf Apartments is pleased to offer four unique and luxurious floor plans, one of which is certain to fit your particular needs! 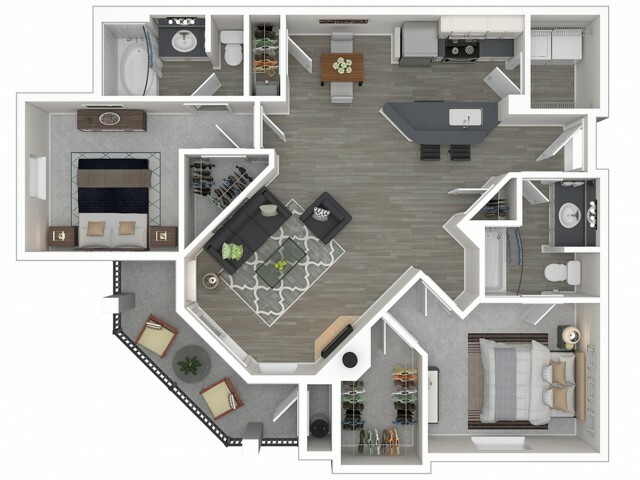 Each distinctive layout is designed to maximize your comfort and optimize your opportunity to express your personal style. Consistent upgrades keep Broadleaf at the leading edge of apartment living. 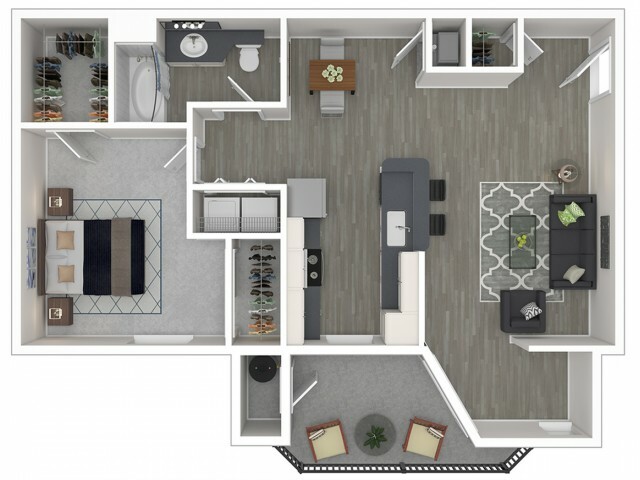 Many of our one- and two-bedroom apartment homes have features such as electric fireplaces, “smart” locks, and contemporary hardware and fixtures. You will also find such extras as ceiling fans, walk-in closets, and full-sized washers and dryers in every apartment home. In addition, Broadleaf Apartments offers a sophisticated and stylish living environment. Nine-foot ceilings are complimented by crown moldings. 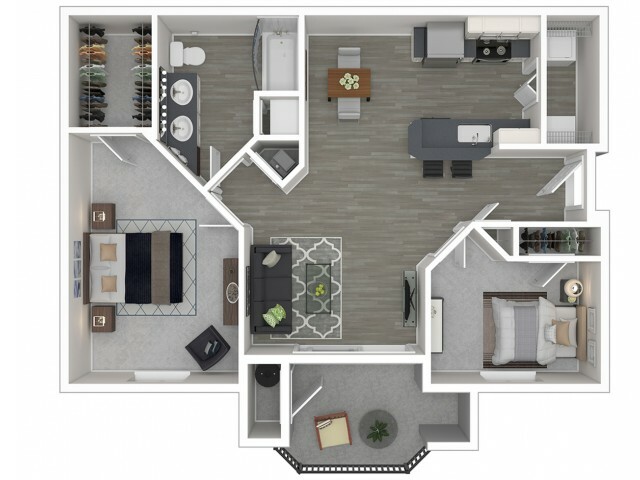 Beautifully equipped kitchens include upscale cabinetry, built-in microwave, and an ultra-convenient breakfast bar. Appealing ceramic tile enhances bathroom, entryway, and kitchen areas, and private patios and balconies extend your living space.